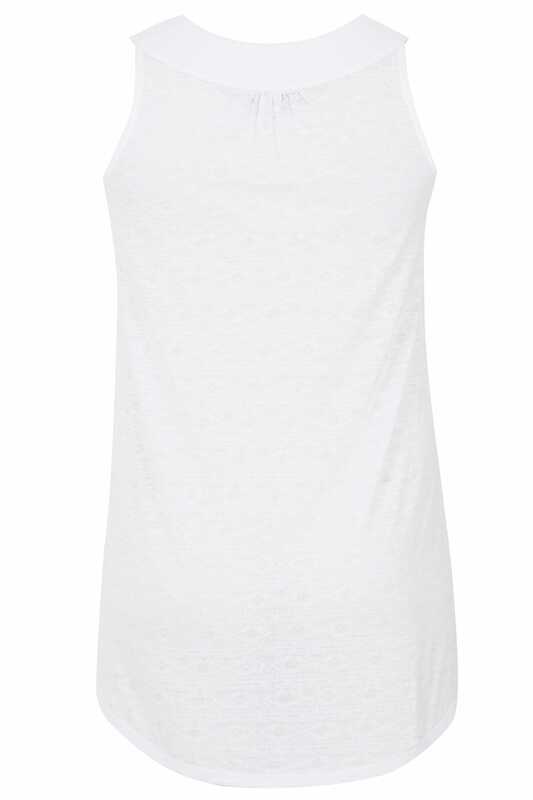 Front length from (approx) 77cm/30.3"
Back length from (approx) 83cm/32.5"
Create a relaxed off-duty style with this vest top. Featuring a bold print and subtle aztec jacquard finish, it is made from a lightweight jersey fabric and features a v-neckline with a layered trim. Team with denim and sandals for an easy go-to look. 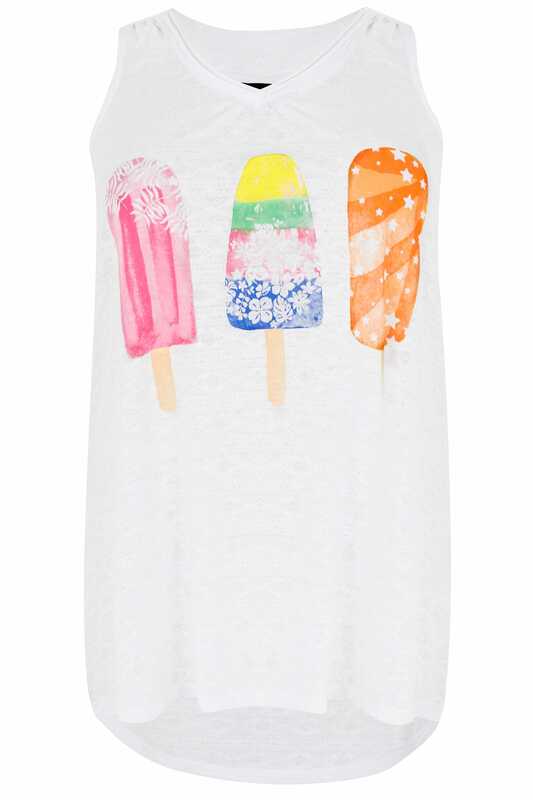 Perfect for the coming season, we love the bright and bold ice lolly print.